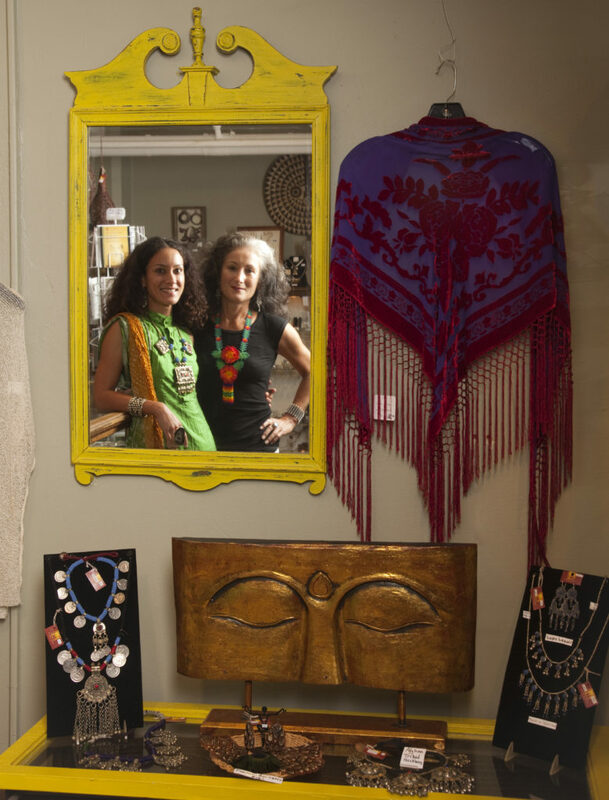 Alia Sachedina, left, took over the boutique shop Adorned, 5 E. Seventh St., her mother, Elizabeth Kurata, started 25 years ago. It used to be called African Adorned, one of the changes Sachedina has made. When the time came for Elizabeth Kurata to retire from her imported jewelry business, African Adorned, she didn’t have to look far for the perfect successor. The problem was, her daughter wanted nothing to do with it. Alia’s resistance was understandable. She had been working in the shop, 5 E. Seventh St., since she was 8 years old, butting heads with Mom the whole way. Kurata handed over the keys, and the lease, to Sachedina on Dec. 31, 2006, but she didn’t give up control quite as willingly. Kurata admits she had trouble letting go. “When she changed the name (to Adorned), that absolutely surprised me. Because she didn’t discuss it with me, isn’t that funny?” she says. Kurata continued to pitch in and offer advice, off and on, until late 2008, when her daughter flexed her “boss” muscle for the final time. 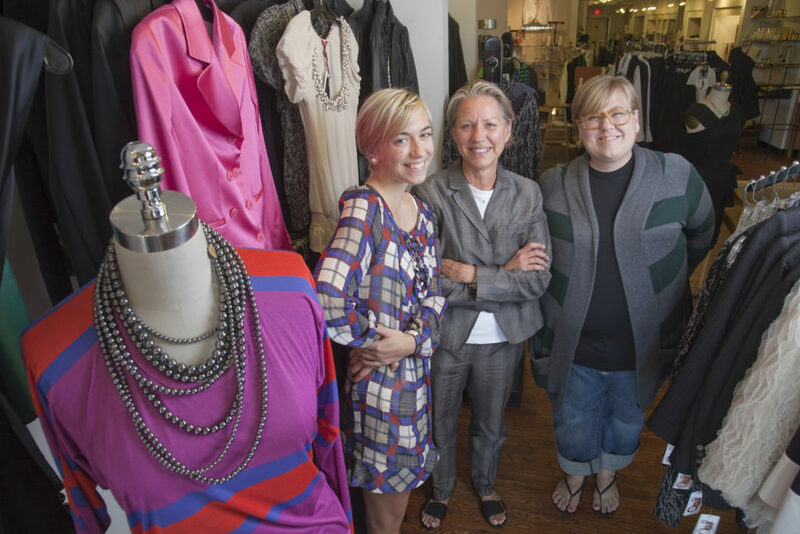 Kathy Swanson, center, works in the clothing business with her two daughters Alex, left, and Shauna. Shawna Swanson, 29, spent 10 years in Los Angeles, working in the retail sector for Gap and Disney, before asking her parents if she could come home and join the family enterprise. They said yes, with a caveat. “We told her she couldn’t displace anyone who already worked there, and she wouldn’t be getting paid in the beginning,” says Kathy Swanson, who owns Spectator’s, 710 Mass., and Hobbs, 700 Mass., in downtown Lawrence with her husband, Mark. Kathy Swanson admits she’s a tough boss, but for good reason. Shauna Swanson rose to the challenge and now works side-by-side with her mother. Kathy says Shauna and her sister, Alex, 19, who works part-time in both stores, bring a vital quality to the business: youth. “It’s important to have young people around us involved all the time, because we’re getting old,” she says. Although Shauna can’t imagine a day when her parents wouldn’t report to work on Massachusetts Street, her dream is to continue their legacy one day, in her own fashion. It’s a dream her mother shares. Mother and daughter duo Marcia Butell and Ashley Butell have been business partners for the past seven years and have recently moved Rejuvene Salon and Day Spa to 13 E. Eighth St. “To get good employees you have to get them at birth,” Marcia Butell says. “To get good employees, you have to get them at birth,” says Marcia Butell, who works with her daughter, Ashley, at Rejuvene’ Day Spa, 13 E. Eighth St.
Ashley says she and her mother provide different services to clients, so there’s little confusion or competition. There are times, however, when Mom can’t resist offering her two cents. Though there is no formal succession plan in place, Marcia is planning for her daughter’s future, should she want it.